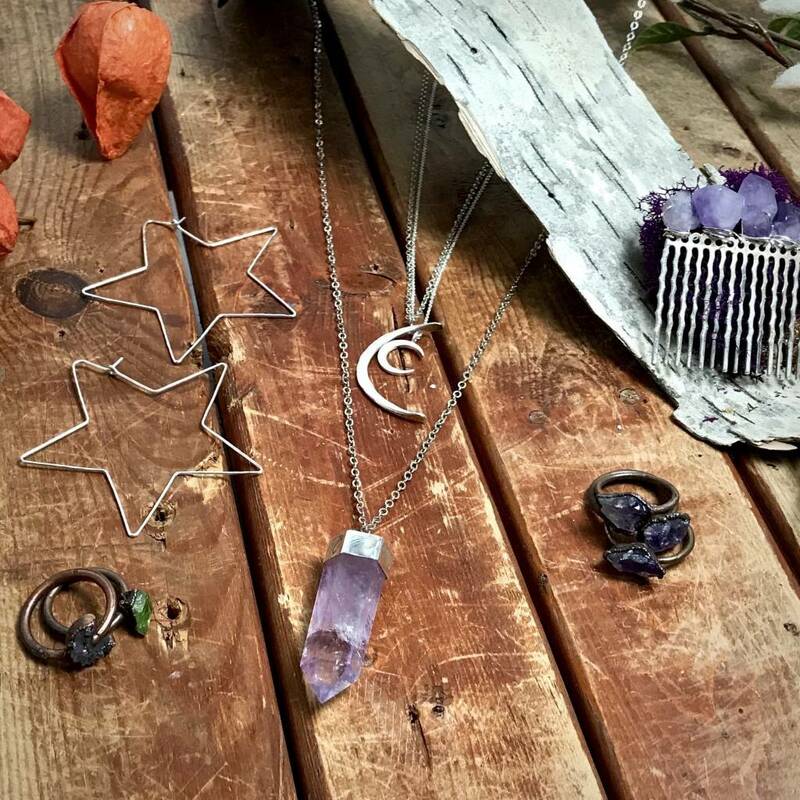 Raw stones, crescent moons, and stars to complete your witchy look! Mix your metals and explore the supernatural powers of these gorgeous raw and polished stones. Amethyst is known for its healing powers, along with its ability to help with emotional issues, and physical ailments. We are in love with the versatility of these pieces and how well they add some spirit to any outfit. Both our Mass Ave. and Carmel store carry these beautiful stones, stop in and nerd-out on some stones with us!